Israeli retaliation after the killing of the three boys abducted. 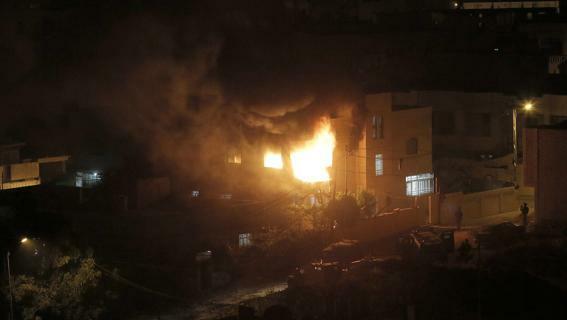 Deluge of fire from heaven on the Gaza Strip and the West Bank in the blitz burst of the night before, Israeli forces attacked Hamas on two fronts. In the Middle East fear returns: in the night between monday and tuesday Israel has hit 34 goals connected to Hamas and Islamic Jihad with as many air raids. To give news of the offensive on Gaza are sites of Israeli newspaper Haaretz and The Jerusalem Post. In the West Bank and in Gaza are also involved ground troops. In the course of these operations is a Palestinian teenager was killed: this is Yusuf Abu Zagher, 18 years, but his death, at the refugee camp of Jenin, it would be only a tragic fate.